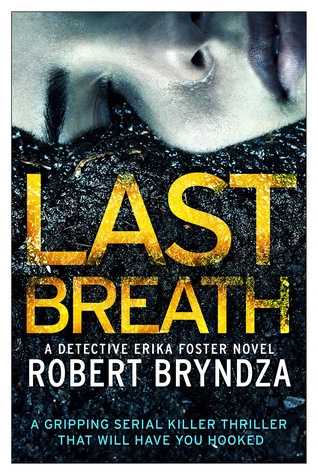 I don’t know how Robert Bryndza does it because this in my opinion is his best novel in the series so far. The other three books were brilliant but this just has the spit and polish feel that gives it that edge. You know sometimes you think that you know what you want but when you get It, then you realise just what you had. Well Detective Erika Foster is a strong character that knew what she wanted but darn did she crave to be out of the office that she hated so much and back to some real cases. So when Peterson gets a call about students finding a mutilated body of a young woman she is almost salivating at the thought of tagging along. Once she has dipped her toes into her past life she really needs the full blown fix of working a case again no matter how much humble pie she has to digest. Erika Foster is one of my very favourite female detectives, she takes loyalty over popularity any day which gives this sassy lady a small number of colleagues that she would trust with her life. Then what you do get is a boss that has her sleeves rolled up getting stuck into working with her team rather than commanding at the edge. The only thing is, is that Erika has been making promises to parents that this time she may not be able to fulfil? It is almost like this violent killer doesn’t exist and time is quickly running out for his latest victim. From the very first page this story has an urgency about it that you feel she is just one pace behind one of the scariest bad guys that Robert Bryndza has created so far. This story certainly leaves readers something to think about, yes I have heard it all before and still think these things just happen to other people, unfortunately they happen to someone, so carry on when the book has ended and read A Note From Rob. Great review for LAST BREATH. You’re right, Susan. I don’t know how he does it, either. Producing so many first-class thrillers and romantic comedies.